In this guide, you will learn how to install an SSL Certificate on Heroku. If you haven’t applied for a certificate yet, the first part will show you how to generate a CSR code for Heroku during the buying process. We’ve also included a bit of Heroku history to satisfy your curiosity, and, finally, a few useful tips on where to buy an SSL certificate for a Heroku server. 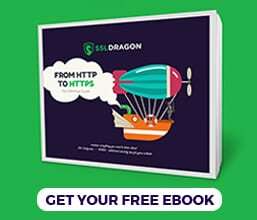 Where to buy an SSL Certificate for Heroku? CSR (Certificate Signing Request) is a text file you must submit to the Certificate Authority as part of the SSL application process. It contains the required information about domain ownership and your organization. If the CSR details are not correct or out of date, the CA will not sing your certificate. Since you can’t generate a CSR code directly on Heroku, you have two alternative options. You can use our CSR Generator tool, and it will automatically create the CSR and private key, based on your information. Or, you can generate the CSR on your local environment using OpnSSL, a built-in utility in Apache and Nginx servers. Note: If you’re generating a CSR for a wildcard certificate, add an asterisk in front of your domain name. For example, *.ssldragon.com. Back up the .key file. You will need it during the SSL installation. Now, you have to wait until the CA verifies and validates your SSL request. Depending on the type of certificate, the process may take between a couple of minutes and 7 business days. Once you’ve received the certificate files in your inbox, continue with the installation steps. To install a commercial SSL certificate on Heroku, you need to purchase the SSL Endpoint add-on for your app, worth $20 per month. example now served by example-2121.herokussl.com. Note: The endpoint creation may take up to 30 minutes (or in rare cases up to 2 hours). To reroute requests to the endpoint hostname, create a CNAME record. Don’t forget to replace “example” with the relevant information. If you set a CNAME record for the root (@) domain, it will overwrite all the other records that you set up for the domain. To create a CNAME for a subdomain, your certificate must cover the subdomain (www.example.com, subdomain.example.com, *.example.com). You can set up a certificate issued for a bare domain (example.com) only if your DNS provider offers CNAME-like functionality at the zone apex. 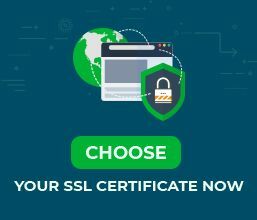 When buying an SSL Certificate pay close attention to its specifications. Some certificates don’t support both with and without “www” feature. That’s it for the Heroku SSL installation. It’s always worth it to check your SSL certificate for potential errors right after the configuration. Use these excellent SSL tools to get instant status reports and vulnerability alerts. Heroku is one of the oldest cloud platforms, in development since 2007. Initially, Heroku supported only Ruby programming language, but today it’s a polyglot platform, allowing developers to build, run and scale applications in Java, Scala, Node.js, Clojure, PHP, GO, and Python. Heroku is subsidiary to Salesforce.com, an American cloud company, based in California. In 2010, Salesforce acquired Heroku for $212 million. The name “Heroku” is a portmanteau of “heroic” and “haiku”. The Japanese reference is an acknowledgment to Yukihiro Matsumoto, also known as Matz for creating Ruby.